Did you know that the human eye responds to colors much faster than numerical values? Reading and interpreting flickering digits on displays leads to operator fatigue and errors. However, easy-to-read color indicators display unmistakable information, showing whether the weight is within tolerance limits and reducing operator error. With color displays, operators can supervise several machines simultaneously because they can ascertain, from a distance, whether boxes are full. The new full-color graphic display on the METTLER TOLEDO ICS449/469 terminal was designed with this task in mind. The terminals’ back-lit display changes color from light blue to green, yellow or red, indicating whether a box is below or above tolerance and optimum weight. The scale can be customized to meet specific needs. For example, operators can set different target input modes and define various tolerance sizes based on their operations. In addition, there are memory locations for 50 different articles and tolerances. 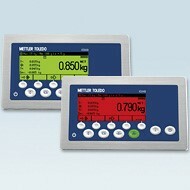 The scale can also communicate with the machines via RS232, Ethernet, USB Device or Digital I/O. That function can be used to slow down or stop the machine automatically if the box is full. The colorWeight® display increases productivity when manual filling many identical portions in the shipping department. The display’s graphic bar shows the filling status of the targeted portion, giving the operator fast updated information during the entire filling process. The bar graph, in combination with colorWeight®, increases filling speed and reduces time-consuming manual corrections of over- or under fill even from difficult viewing angles and distances. 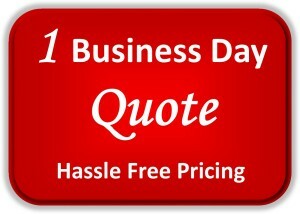 TOLEDO CAROLINA now offers on-line quoting with a one business day response time. Request a quote today and see if the colorWeight® display option is the right weighing terminal solution for your company.